ALLEGRA BOVERMAN/Staff photo. Gloucester Daily Times. Rockport: ALLEGRA BOVERMAN/Staff photo. Gloucester Daily Times. 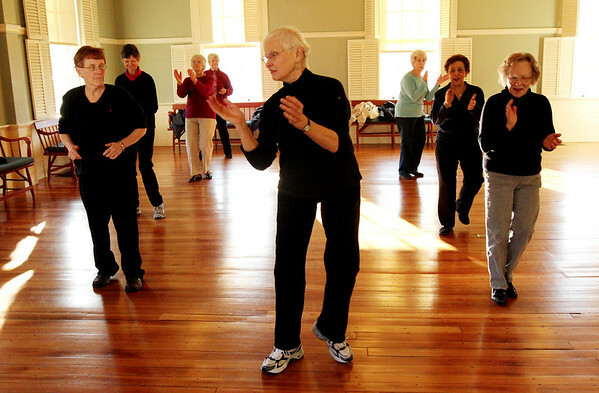 Rockport: Line Dancing at Community House in Rockport is every Tuesday at 2 p.m. Participants include Juliana McGovern, center, who is the class helper and substitute dance teacher. At left, from front to back, are: Diane Dawson, Joan Thompson, Bette Mello and Anne Desmond. At far right, from front to back, are: Marilyn Briggs, teacher Tina LaFlam, and Julia Garcia.